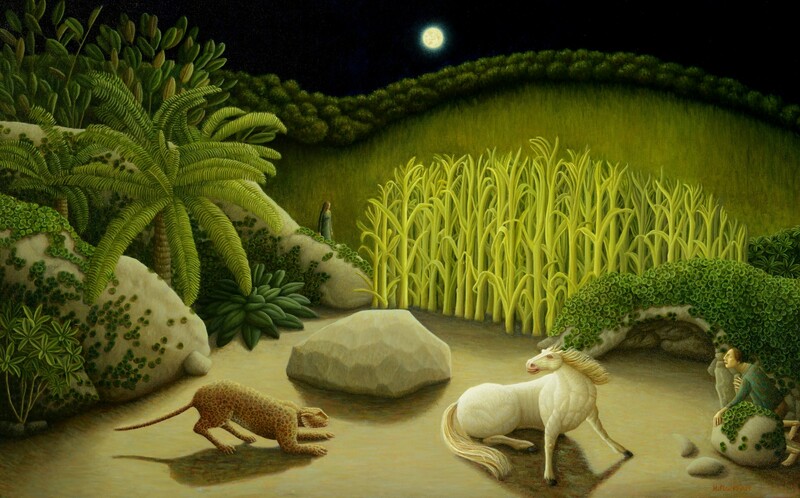 In a verdant clearing, a leopard assails a white stallion, whose muscles pulsate with the light of a luminous moon. 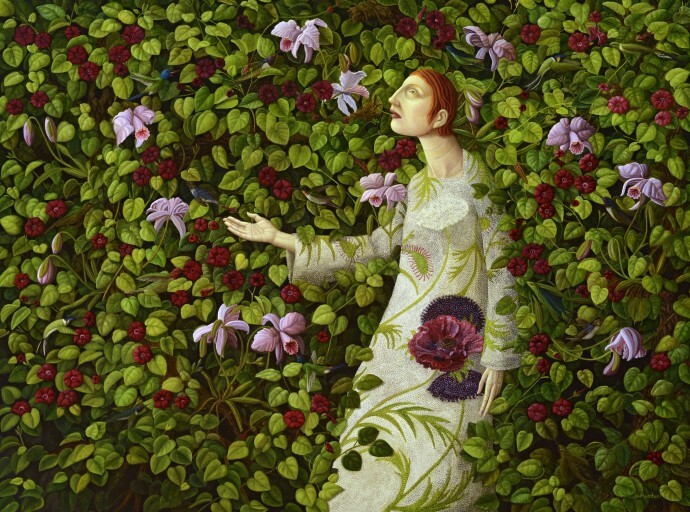 In another scene, a woman holds an expectant palm to a flitting hummingbird, as lush vines and orchids engulf her frame. And a peacock cries to a crazed red sun, whose rays swirl gold through its wings. 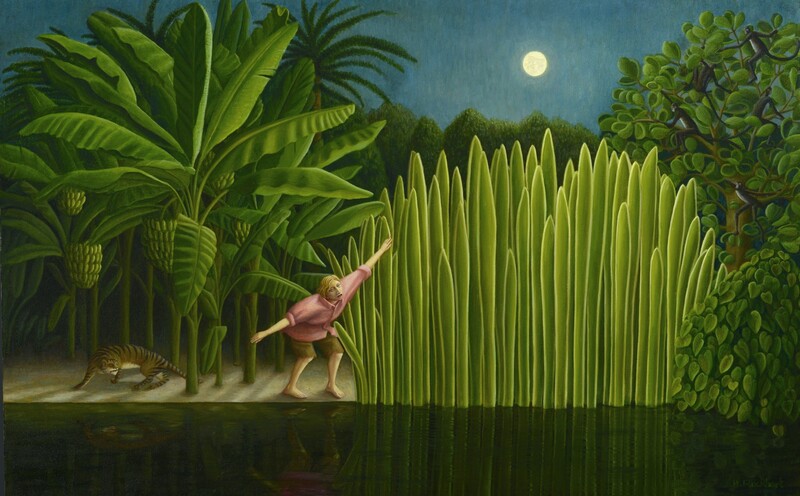 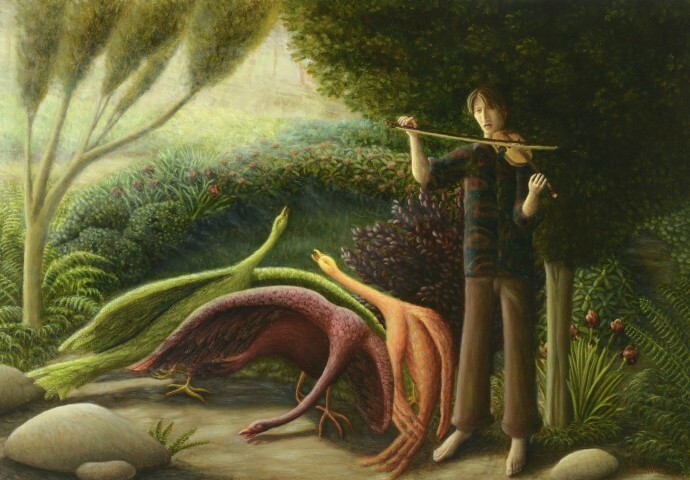 These are the worlds which Scottish artist Helen Flockhart conjures. 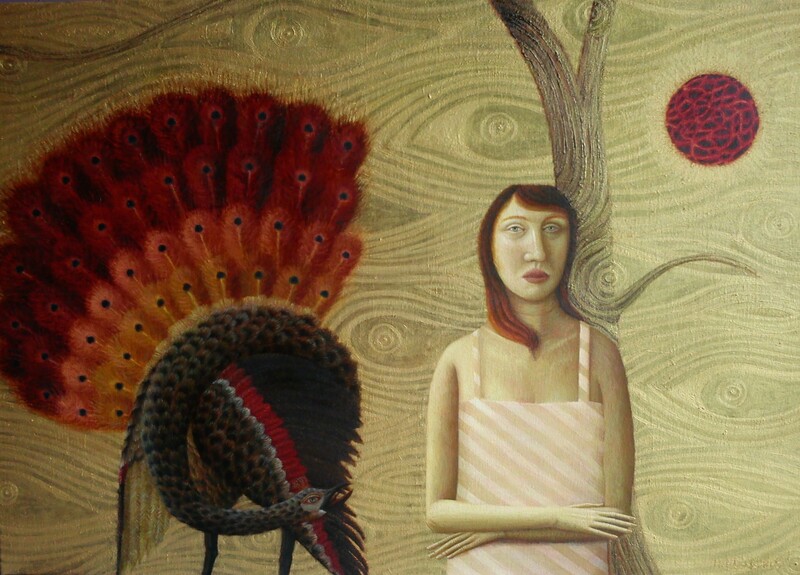 Rich in reference to familiar myth, legend and literature, the narratives we encounter in her paintings have at the same time been interrupted and made strange. 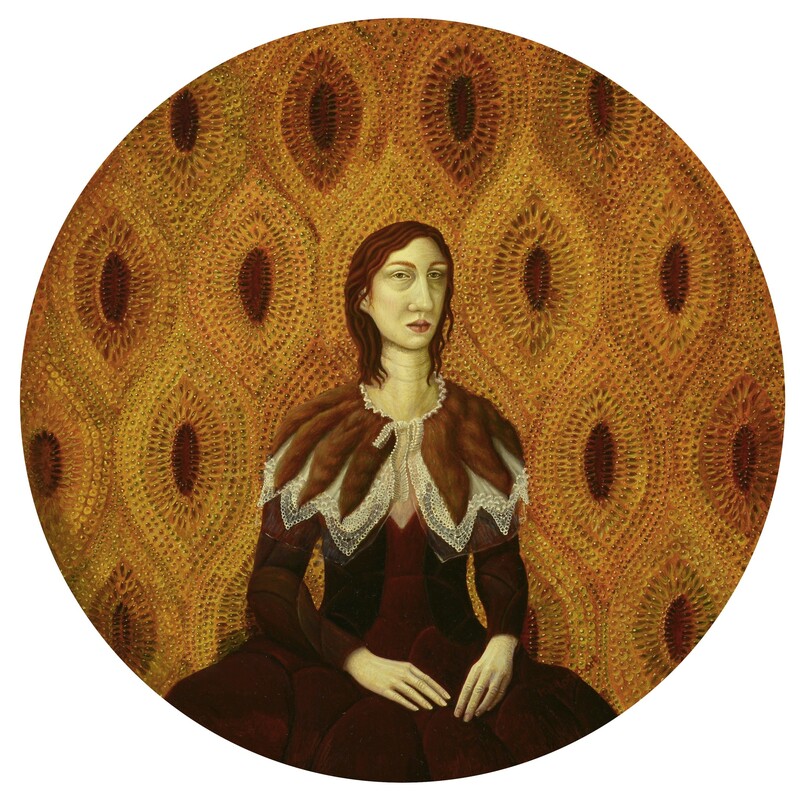 As Flockhart says of her work, she hopes to ‘create a feeling of stillness’, to ‘suggest a lull, a sense of portent.’ Whether it be vast apocalyptic wastelands or densely-patterned, claustrophobic interiors, hers is an intensely individual vision achieved through a specialized technique of oil paint layering. 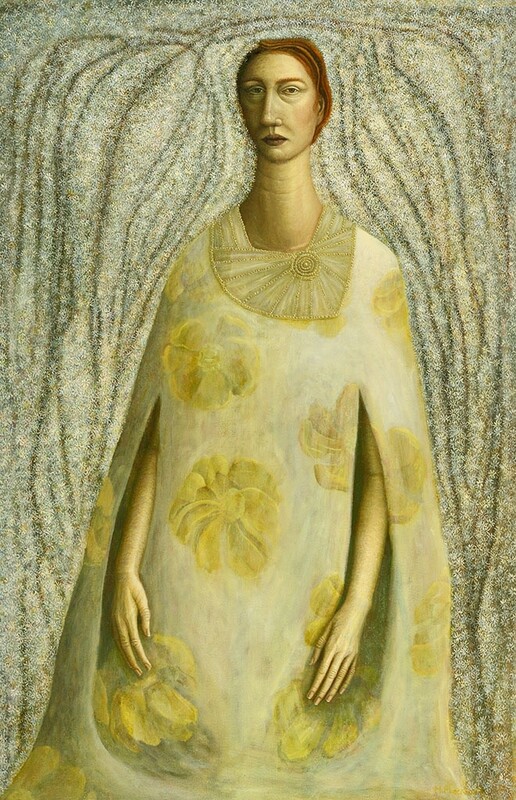 Graduating with a First in Painting from the Glasgow School of Art in 1984, Helen Flockhart has built a reputation as one of the finest and most distinctive Scottish artists of her generation. 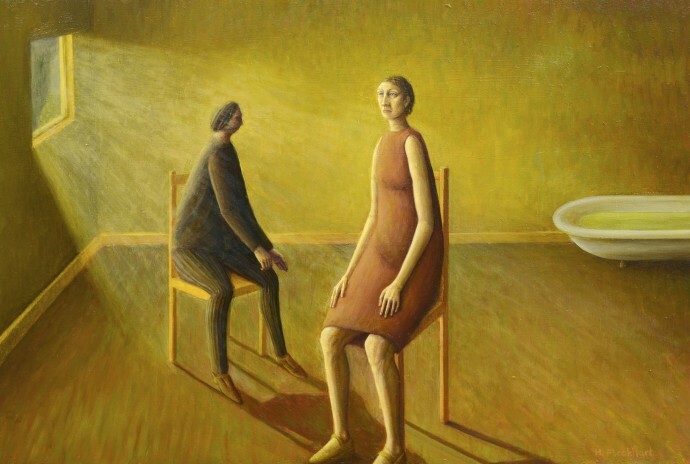 Her work is held in many British and international collections, including the Scottish Arts Council Collection, Edinburgh City Arts Centre, the Fleming Collection of Scottish Art in London and Glasgow Museums.